CityLife Auckland hotel offers the perfect Auckland accommodation for travellers who want to be just yards from the action. It includes Superior Rooms, one or two bedroom suites, Directors Suites and a rooftop Penthouse Suite. 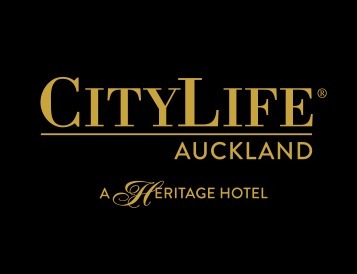 Guests at CityLife Auckland hotel will find a comprehensive array of features to add new levels of convenience and enjoyment to their stay. Our services include; wireless internet access, gym, indoor heated lap pool, babysitting service, restaurant, bar, business centre, concierge, foreign currency exchange, laundry facility and dry cleaning. We have a stunningly appointed conference facility to host up to 60 delegates. At our Zest Restaurant and Bar diners can choose to savour a full meal, or simply sip a quiet aperitif after the working day. For more information, please visit our website or give us a call today. CityLife Auckland offers truly memorable Auckland accommodation centrally located on Queen Street in the heart of the CBD. It¿s a short stroll to the city¿s best restaurants, bars, shopping and attractions like the Sky Tower, Ferry Terminal and Viaduct Harbour.